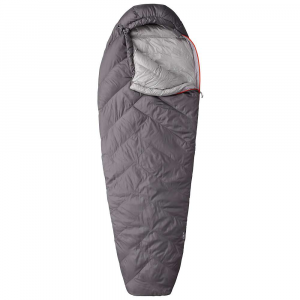 As one of the lightest sleeping bags available, the WM Highlite has high quality construction and a unique sewn-through design that enables it to compress into a 5.5 liter stuff sack and then regain full loft for a comfortable night’s sleep into the mid-30s. 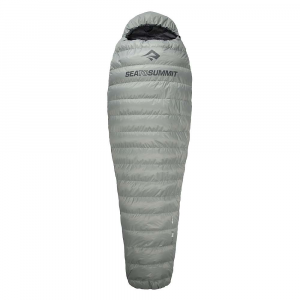 It is a great choice for someone wanting ultra-light and still have a full sleeping bag. In my pursuits to lighten the load carried for long distance treks, I came across the Highlite and was immediately drawn in by the overall weight. 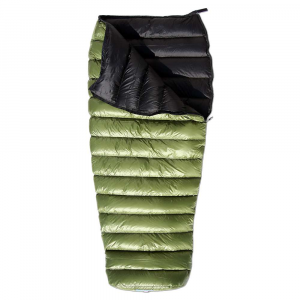 At one pound, it is one of the lightest sleeping bags on the market. I also knew Western Mountaineering has an excellent reputation and makes some of the best down products. After deciding to go ahead with the purchase, I was not disappointed. After the box arrived in the mail, I opened it and was amazed at how light it felt. I stuffed the bag into its stuff sack and then was surprised at how it fit into that extra small stuff sack. In use, the bag has proved itself many times. Of course, the small size takes little room in my pack and the weight has helped reduce what I carry. One other benefit I have found is the dark colors used. When turned inside out, the black inner material absorbs heat and quickly dries the inside for the next night. The “ExtremeLite” fabric used has a very tight weave and to date have seen only a few feathers push through. I am also very happy with how quick the bag compresses. I can stuff it into its 5.5 liter sack in about 30 seconds with little effort. I will also add the disclaimer that I have not pushed the bag to its limits for cold as I use it primarily in the summer months. I have used it down to about 40 and been very comfortable. The only drawback I have come across is the half-length zipper. I know it cuts overall weight but, at the compromise of cooling in the warmest nighttime temperatures. I have awoke a few times sweating, wishing I could unzip the bag further. Wow! How did you find it so cheap? @G00SE, I was fortunate to get a one time, great deal through a friend. Thanks for the review PNW...I'm with Goose...what a great price for a bag by WM (without a doubt one of the best bag makers in the world). 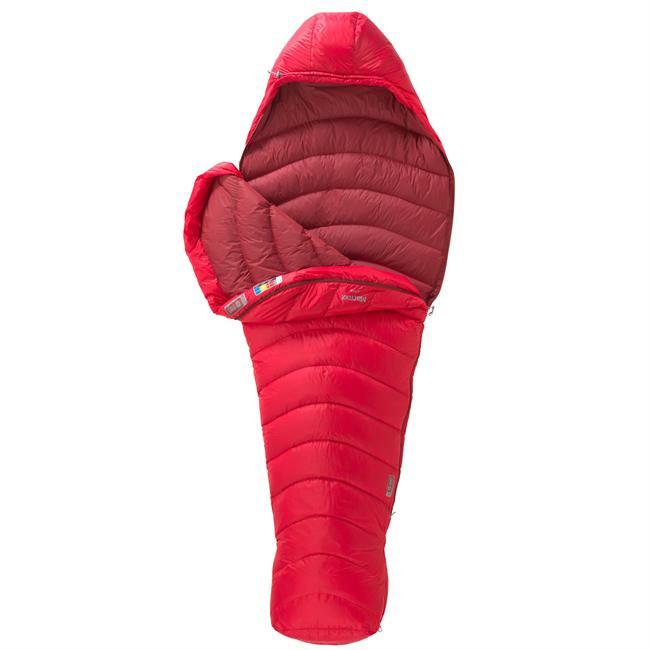 This super-lightweight, amazingly compressible, down sleeping bag rated 35 degrees is my go-to bag for just about all of my backpacking trips. While rated at 35 degrees, I'll take it even if it's supposed to get down to 30, and I'll explain that below. I would not take this bag if conditions predicted temps colder than 30 and/or lots and lots of rain. Otherwise, this is a great bag! 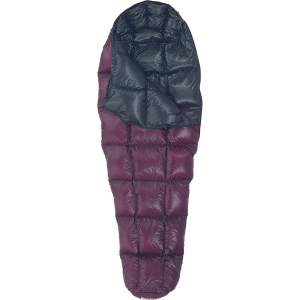 Since it's a sleeping bag, let's talk about warmth first. I HATE being cold. I like to sleep warm, and I tend to sleep cold. So, I need to add things to keep me warm when other people would think I'm crazy. I used this 35 degree bag in 30 degree temps, with wind chills lower due to 30 mph winds. I wore an old Moonstone Stretch Fleece and a Mountain Hardwear Ghost Whisperer along with medium weight Patagonia Capillene long johns and Smartwool Light Hiker socks to stay warm and cozy in my tent. Of course, I wore my Wigwam Thinsulate Beanie. I also used this bag with just boxers and a T-shirt in 55 degree weather. 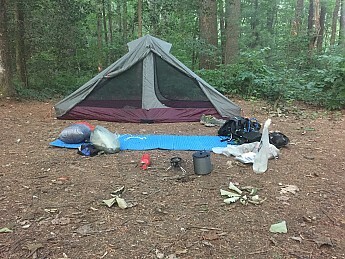 A couple weeks ago, I used it for 5 nights in June along the AT in North Carolina. Temps at night never dipped below 65 to 70. I basically unzipped the bag and used it as a blanket while I wore boxers and a t-shirt. And, at warmer temps, I would wear less and use the bag as a blanket. Which brings me to the worst thing about this bag: the half length zipper. I would have given an ounce for a full length zipper so I could ventilate better in warm weather. I bought the 6'6" version, and it's a little too long for my 6'0 frame. But, the longer version offers a little more girth around the shoulder, which I enjoy. I tend to toss and turn while I sleep, so the more space the better. Plus, having more room in the footbox will permit me to throw a hot water bottle down there on cold nights for extra warmth. Even with a half zipper, it's easy to get in and out. But, be careful though. It's really easy to unzip the zipper all the way, and then you have to get the zipper started again. A couple times, I had to restart the zipper in the middle of the night. I haven't had an issue with moisture, even when the foot of my tent was wet with condensation. But, this is a down bag without hydrophobic down, so keeping it dry is a paramount concern. The bag will get very very very very small. 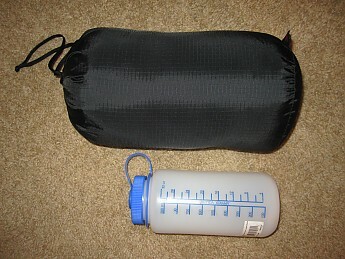 I store it in a zPacks medium size dry bag, and it compresses to half the size of the bag without any effort. And, even though it'll compress beyond belief, it lofts to full size within minutes of unpacking at the end of a long day on the trail. You can see the dry sack on the far left of my sleeping pad in the photo below. 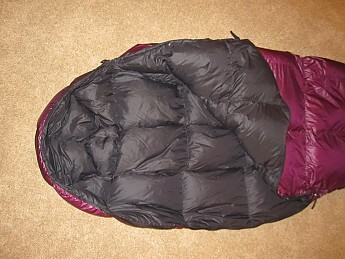 It's less than two panels wide, and only about 8 inches tall with the sleeping bag stuffed in it. While I have an issue with the zipper needing to be restarted, the zipper has never snagged or caught the bag on the way up or down. I have only used this bag for a total of about 10 nights, and only five were on the trail. I treat it well. I baby it. It's one of my favorite pieces of gear. I would always use a sleeping pad and/or ground cover. So, I expect it to last a long long time despite the thin, less durable, fabric. Of course, I wanted that outer shell because that's what helps to keep the weight down. Remember, this sleeping bag weighs just over a pound (the regular is only 16 oz), and the only way to do that is to use a lightweight fabric. Nice review, and nice bag, David! I hope you'll keep us posted on how your WM bag continues to work out for you. Got any pics of yours to show it off? Alicia - Thanks. I just did an overnight of the AT Approach Trail to Stover Creek Shelter and back out this weekend with that bag. It got down to about 60 degrees at night, and all I needed to do was unzip the bag and use it like a blanket. Even though it's a 35 degree bag, I would have to gain weight to switch to a bag/blanket that is not as warm. I looked through all my photos, and my sleeping bag is always in my tent when I take the photos. So, I don't have any now. I do have one photo of the bag in its zpacks cuben fiber dry sack, and I'll share that one soon. Thanks, David! I	'm glad to hear your AT overnight went well. Enjoy getting out more with your bag. I really wanted this bag to work out since it was made in the USA and at 16 oz along with small size would make it perfect for lightweight backpacking. Most temperatures I would encounter would not be below the bags 35 degree rating, however I would rate this at a 40 to maybe even a 45 degree bag. 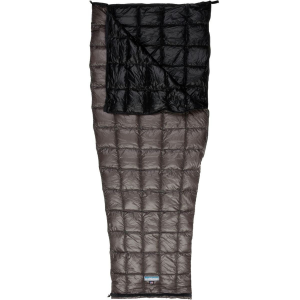 I used this on 3 different trips with a thermal sheet and bivy sack over it inside my tent and never got good quality warm sleep time unless it was above 50 outside. So the bottom line is I got rid of it and went back to the Mountain Hardware 32 Phantom bag that weighs in at a half pound more but well worth the extra warmth. I had been eying this bag, but the price had kept me from moving on it. Thanks for the feedback. amazing bag. highly specialized fringe product. not for everyone. under one pound and small enough to fit in a fanny pack!! 1/2 zipper. combination baffles and sewn thru. extra down in foot section. i have maybe 30 or 40 nights on my high lite and for me it far exceeds its temperature rating. in a tent it is good for at least 30 degrees. 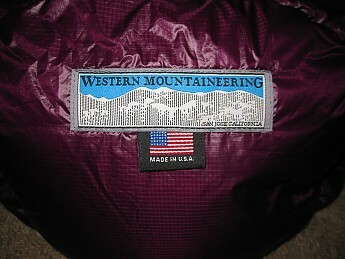 i guide in the sierras where it is dry and mild in the summer and sleep under the stars every night in this bag. superb craftmanship. 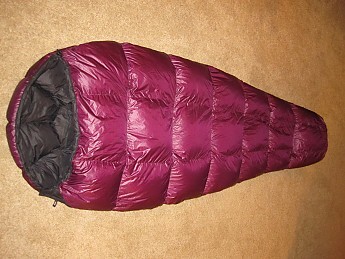 if you need a lighter secondary sleeping bag for summer bivvys this one has all my recommendations. I already had a sturdy Polarguard for colder temperatures, but it is bulky for most of my hiking in Florida. I chose this bag because it was the lightest in the gear reviews, would compress into an extemely small space and for the good reputation of the company. I'm sleeping in a tent about every 3 weeks, either backpacking, kayak camping or car camping, so it gets a lot of use. It's a delicate bag, I wish I'd chosen a longer zipper (I like to keep a leg out on warm nights) because I have to be very careful getting in and out of the bag. I'm usually careful with my gear and expect to get years of use from it. I haven't used it in very cold weather (I'd probably take my other bag.) But, in summary, I'm glad I bought it. The cut is quite tight (I'm 5'8" 160lbs) but that's part of the design idea. They save weight by not using their renowned zipper tape construction and the zipper is only 1/2 length, but I haven't noticed a single problem with zipper hang-ups. If you are tough on a bag, consider the Iroquis for the tougher fabric, cause the Highlite is paper thin...but again, no complaints. I absolutely love my HighLite! I call it my cloud because that is what it feels like you are sleeping in :). I think the temperature rating is accurate — I sleep a little cold so I wear extra socks and clothes to bed but works well for my section hikes on the AT. 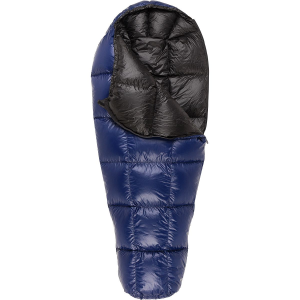 It's amazingly light and packs down so small in a compression sack. Price, but well worth it! When removed from the compression sack it regains all loft with a few shakes. I got the 5'6" size which works great for a petite woman. The HighLite is well made, in the USA, and I especially chose my Western Mountaineering bag since the down is ethically collected. I have had my bag less than a year, but think with good care that it will last for a very long time.